Alibaba joins the self-driving car race. Intuitive Surgical (listed on the Nasdaq) makes robot doctors. Or rather, the company has invented a machine called the da Vinci Surgical System and doctors around the world are getting more and more enthused by it. From a console beside the patient, the surgeon operates three robotic arms that act as scalpels, scissors, and electrocautery instruments. There is a fourth arm with a two-lensed camera on the end that provides full internal vision. The surgeon looks through two eye holes at a 3-D image of the procedure and manoeuvres the arms with two hand controllers. It looks like a giant mechanical spider. Or Doctor Octopus. By enabling surgeons to perform complex procedures through small incisions, the da Vinci Surgical System enables less blood loss, shorter hospital stays, faster recoveries and fewer scars than traditional open surgery. Shares in the California-based company are on a tear after last week’s performance update. Sales in the da Vinci Surgical System jumped 25% and global procedures using the machine grew 15% in the first quarter of this year. Currently, robotics penetration is only 5-10% of the surgery market, which is expected to reach $US20 billion by 2020. Intuitive Surgical’s da Vinci is quickly gathering steam as the preferred machine assistant for doctors. It’s also a happy company for investors given its “razor and blades” business model (where one item is sold at a low price, or given away for free, in order to increase sales of a complementary good). Razors are cheap but you’ve got to keep buying blades. Intuitive Surgical sells the da Vinci machine but also a raft of accessories and instruments. We've just spent a good 25 minutes in the Spaceship office discussing the infiltration of AI into medicine. Mind blowing. We have exposure to Intuitive Surgical through our superannuation fund. In 2015, an AI-powered Twitter bot did something weird. It tweeted, “I seriously want to kill people,” and mentioned a fashion event in Amsterdam. The owner of the account was immediately questioned by Dutch police, who claimed the tweet was a death threat, and that he was legally responsible for its actions. It was under his name and the tweets were composed based on his Twitter account, after all. But the European Union is currently debating whether or not the bot itself might be liable. A recent report floats the idea of granting special legal status to smart robots, who can learn, adapt and act for themselves. The EU is suggesting they establish an “electronic personalities” status; responsible for making good any damage they may cause. The idea is not dissimilar to “corporate personhood” where organisations are sometimes recognised by law as an individual, bringing with it certain rights, protections and abilities that are enjoyed by human beings. The EU is looking at an insurance scheme, where robots would be covered in the event a death threat, or something more sinister (or dumber), does damages. That way, they could “make good” by paying damages. That said, some worry that making robots liable would absolve manufacturers of liability that should rightfully be theirs. Alibaba’s newspaper says Alibaba is testing self-driving cars in China. (So it goes on the mainland). According to The South China Morning Post (owned by the tech giant), Alibaba is aiming for a SAE Level 4 autonomous-driving system. That means cars equipped with this system would be able to drive themselves most of the time, but might still need occasional human intervention. SAE Level 5 is the designation for cars that do not require any human input at all. The SAE is the Society of Automotive Engineers, an automotive standardisation body. They’ve developed five levels that range from 0 - 5, with 0 representing a system that issues warnings and may momentarily intervene, to 5, which would be like a robotic taxi. There seem to be plenty of self-driving cars on the streets of Beijing, with both Baidu and Tencent recently receiving permission to test autonomous cars. And a startup called Pony.ai has launched a small-scale autonomous ride hailing pilot in Guangzhou. 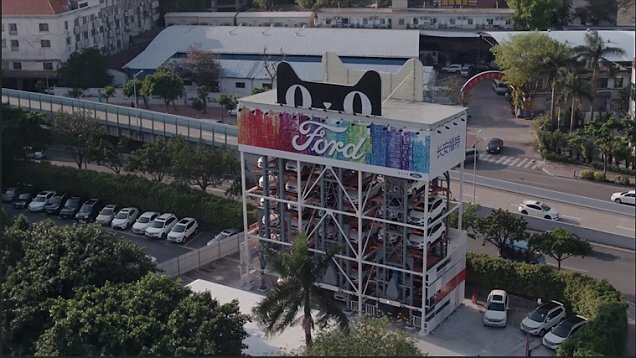 Guangzhou is seeing plenty of automotive action, with Ford and Alibaba almost ready to open their giant car vending machine there. The vending machine is coined the "Super Test-Drive Center”. Customers will be able to drive the vehicles for up to three days at no cost, so as long as they have a high enough Zhima (also called "Sesame") social credit score. Otherwise, customers will be required somewhere between $16 and $32 for the experience, depending on what model they choose. Frankly, that doesn't seem to be that bad of a price for renting a car for three days. 11.05.18 | A note on Activision Blizzard (and net neutrality). Activision Blizzard and the Fortnite niggle; The battle for net neutrality.